Christmas and gingerbread go together like peanut butter and jelly! The smells and taste of gingerbread always bring Christmas to my mind. 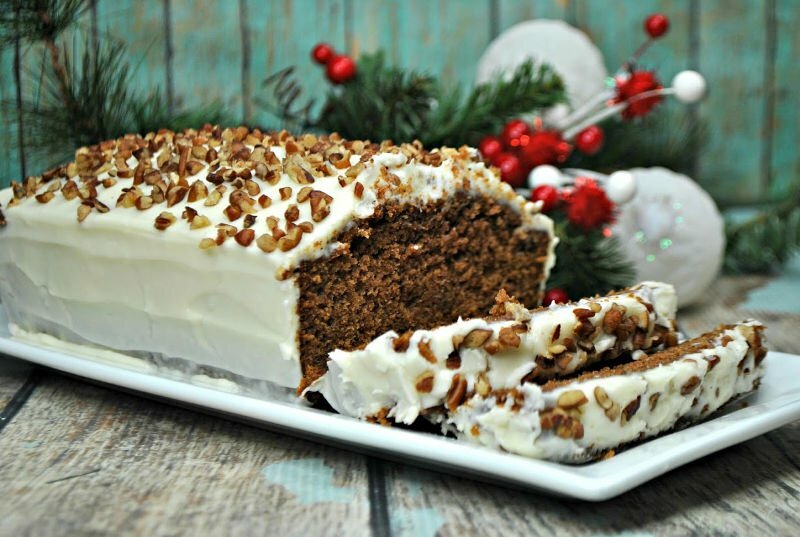 This Starbucks Gingerbread Loaf inspired by the original recipe is topped with amazing cream cheese frosting! You’re going to love it! Prepare a 9×5 loaf pan with nonstick baking/ cooking spray. 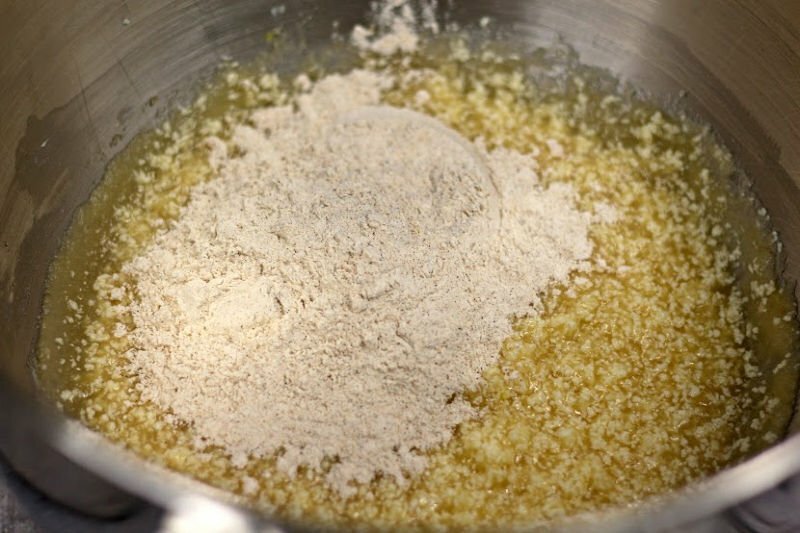 Add the butter and sugar into a mixing bowl. 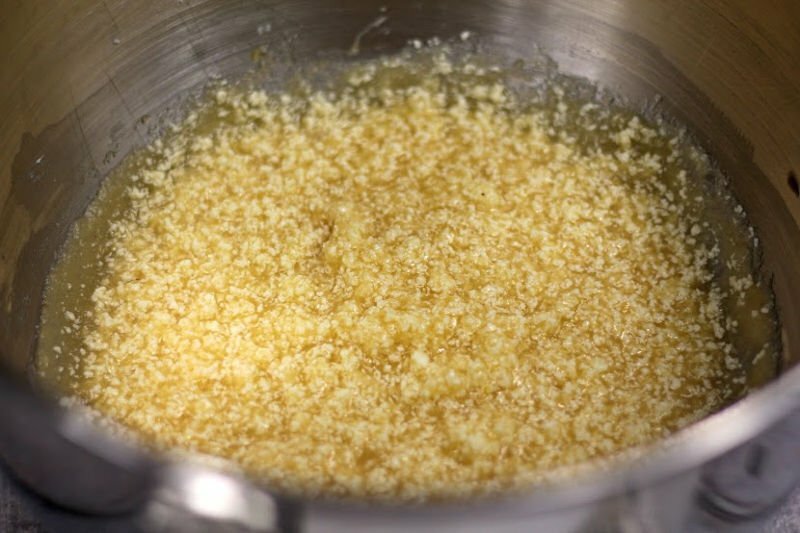 Using an electric mixer cream the butter and sugar together until it is fluffy. Add in the vanilla and egg while the electric mixer is still beating. Slowly blend in the applesauce. 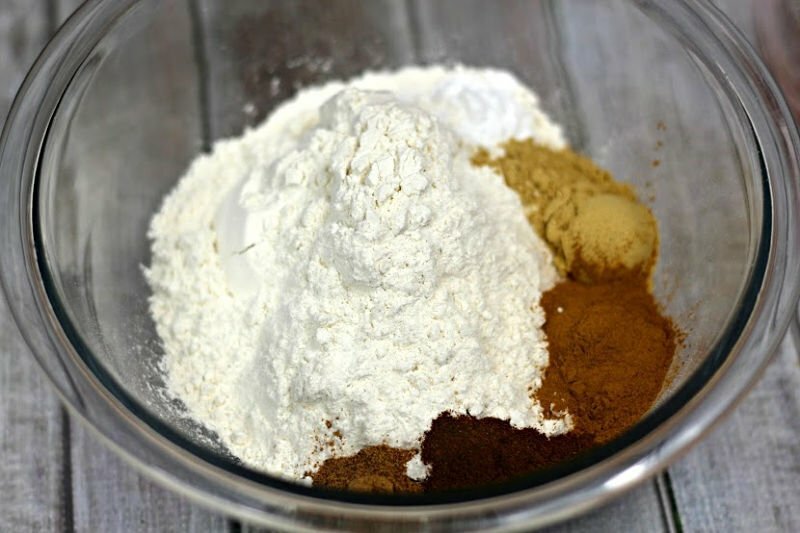 Add the flour, baking soda, ginger, cinnamon, cloves, and nutmeg. Stir to combine. 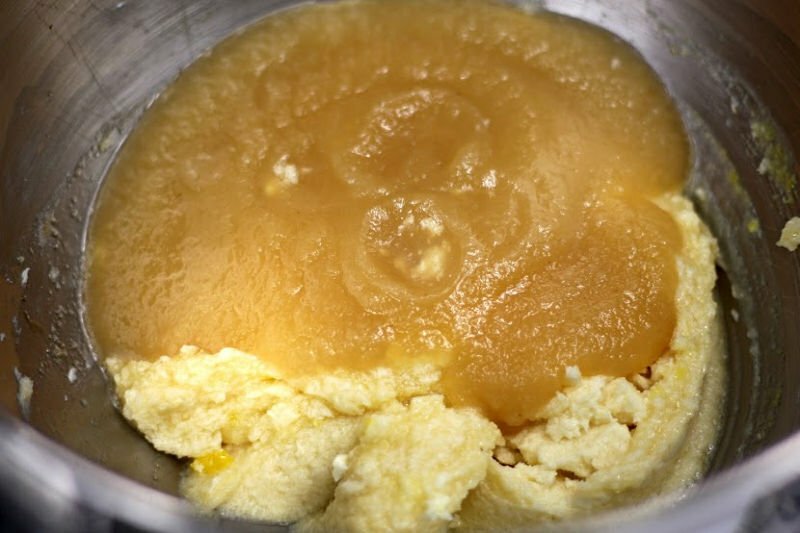 Add this mixture to the butter, egg, sugar mixture blending until it is mixed. This Starbucks Gingerbread Loaf Recipe is inspired by the original Starbucks recipe. It is perfect for the holiday season! Add in the vanilla and egg while the electric mixer is still beating. Slowly blend in the applesauce. Beat the cream cheese and vanilla together. Spread a thick layer of the frosting over the gingerbread loaf. Can’t you just taste it now? Make sure you pin it for later, and share this recipe with your friends! They’ll thank you! By the way, are you excited for the new Mary Poppins movie? Check out these adorable cupcakes! I’m not sure if I did this right, I was trying to win the $10.00 gift card for Statbucks. This sounds really good–ty for the recipe. This looks delicious and sounds incredible! 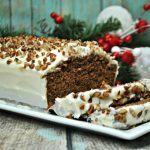 I love all the spices that are in this gingerbread loaf and I can’t wait to give it a try. Thank you for sharing the recipe. 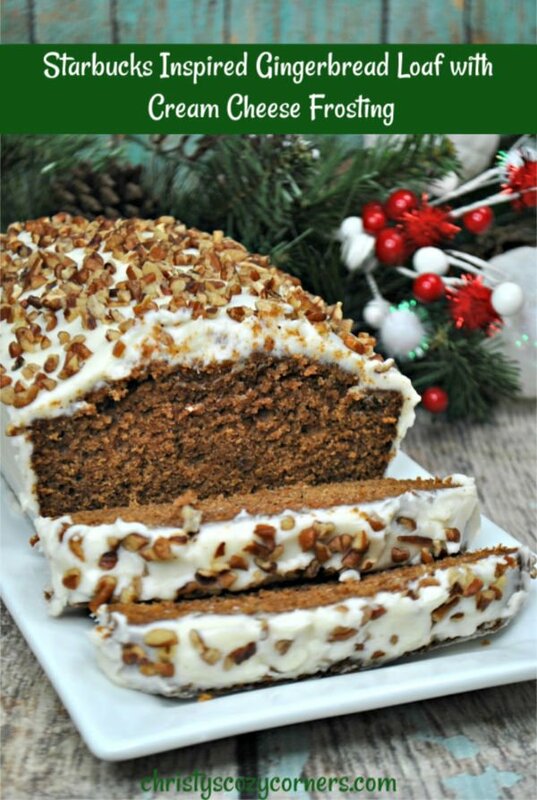 going to make this for the holidays.. My family loves gingerbread and I am always looking for new recipes…. Oh this is dangerous,lol! I love all of the yummy baked goods at Starbucks.I will definitely be making this,thank you! What a unique and lovely recipe! Looks wonderful! Perfect for Xmas. Now this looks delicious and so pretty too! Yum, this looks good! Pinning this to try for myself. This sounds delicious! I love gingerbread and will definitely try to make this! Yumm! This gingerbread loaf looks amazing! This recipe sounds delicious. It seems perfect for the holiday season. I haven’t had gingerbread in years! Even when we make the gingerbread house, I didn’t even nibble on it. But this looks scrumptious!! I had to pin this!! Thank you for sharing! YUM ? I left a comment and I don’t know where it went! I pinned this recipe. It looks scrumptious! I was never a fan of gingerbread. Even when we made gingerbread houses, I never even took a little nibble off of it. This recipe just might change my mind! After all, I don’t like wasting food ? It was here 🙂 I just have to approve comments so I don’t get spam! Thanks for stopping and for pinning this! This looks really tasty. You can see how moist it is! Yum. Oh my gosh! Making this for New years! I’ve never had this at Starbucks, but my Mom used to make something like this. I had forgotten about it, I going to make it with this recipe and enjoy some coffee and gingerbread and think of her. Thanks for sharing. I so want to try this one. To get the same thing at a Starbucks is ridiculously expensive. And I bet this tastes better.